There is only a small window of time between when everything freezes to when everything melts. 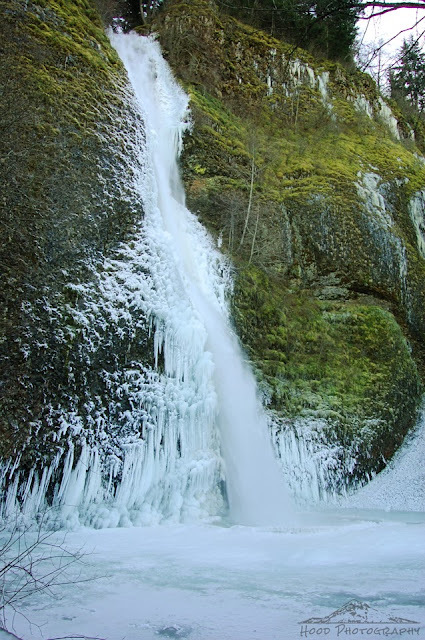 During this window, if you are lucky, the roads become clear enough that you can drive the Historic Columbia River Highway and bear witness to the frozen waterfalls, which is one of the most beautiful scenes our area has to offer in the wintertime. I was there on Sunday. Got lots of great waterfall shots. Amazing isn't it? Oh wow that is beautiful!! Very interesting and beautiful photo.